It is hard to believe that we are at the end of term 1. It seems like just a couple of weeks ago I was welcoming the new Year 1 and MSc students into the Department. I am sure there is some saying about time flying and having fun and while fun might be a little strong, work is made a lot easier and more enjoyable due to the dedicated hard work of a large number of people and I want to thank everybody for the time and effort they put into Departmental related activities, be it research-focused, teaching-focussed or supporting those key activities. I realise it is unfair to pick people out, but I wanted to say thank you to all those people who are responsible to the PGT programme because they have dealt with the unexpected numbers with true professionalism and good humour – thank you so much. I hope that you all get all of us get some time to relax over the next few weeks and that you make time to spend with loved ones. Term ending does not indicate work coming to an end as we will be sending representatives from the Department to both the EEA Meeting in Naples 6-7th December and then to the AEA Meeting in Atlanta 4-6th January. Next term work will focus on junior hiring, the re-induction of our students and Departmental preparation for the Research Excellent Framework and the Teaching Excellence Framework. I hope you are all able to join us at the Christmas lunch which is taking place next Wednesday 12th December in Cryfield Sports Pavilion. Professor Jane Hutton works in medical statistics, with special interests in survival analysis, meta-analysis and non-random data. She would like to encourage Economics academic staff to register for this event, which she hopes they will find interesting and relevant. The Royal Society is holding a Discussion Meeting on how should pension liabilities be valued? Risk aversion and demographic uncertainty, from 25-26 March 2019. The meeting is a two-day event held at the Royal Society, London and there is a provisional programme available. The meeting will air some slow-burn economic and social issues, to initiate a more co-ordinated approach and to dispel some widely-held misapprehensions. Attendance is free, but registration is essential. On Thursday 29 November, the Department of Economics organised its Christmas Party for PG students and Staff. We welcomed approximately 200 PG students and 50 members of the administrative and academic staff. The evening entertainment included a chance to socialise, dance and enjoy a three course traditional Christmas dinner. Feedback given by students included a comment about being "the best event of this year" whilst others enjoyed the Christmas atmosphere created by the colourful tree-shaped ornaments and festive accessories. The University has requested that all staff complete the required GDPR and Information Security e-learning training modules. These can be accessed through the training pages on the Information and Data Compliance team webpages. Please play your part in ensuring that the Department is compliant with GDPR rules and regulations. Whilst we do not advocate excessive working during the weekends and evenings, the Lone Working procedure reminds you to consider your safety at all times whilst on campus. Please contact the HR Officer should you have any queries regarding the procedure. As the University of Warwick holds a current Stata Site License, staff are offered the opportunity to attend a Stata Winter School running from 10-15th December 2018. This course is run by an external provider. Should you wish to attend, your research allowance can be used to fund the training. For further information, please visit their website. Mantons will be installing fire doors into the new corridor by the lecture theatres from 10 December. As a result the main sliding doors into the building will be closed for up to one week. A Christmas Movie Night has been organised on Thursday 6 December starting at 6pm by Andrew and Pete (IT Team), the venue is to be confirmed (it will either be S2.127 or the Cowling Room). All staff are welcome to join and you can bring some food and soft drinks to share. Five movies have been selected; Long Kiss Goodnight, Edward Scissorhands, Gremlins, The Night Before, The Muppet Christmas Carol. For those members of staff who wish to attend, could you please express your movie preferences via the online form. Sascha Becker's paper with Luigi Pascali has been accepted at the American Economic Review. Abstract: Religion, Division of Labor and Conflict: Anti-Semitism in Germany over 600 Years Abstract We study the role of economic incentives in shaping the co-existence of Jews, Catholics and Protestants, using novel data from Germany for 1,000+ cities. The Catholic usury ban and higher literacy rates gave Jews a specific advantage in the moneylending sector. Following the Protestant Reformation (1517), the Jews lost these advantages in regions that became Protestant. We show 1) a change in the geography of anti-Semitism with persecutions of Jews and anti-Jewish publications becoming more common in Protestant areas relative to Catholic areas; 2) a more pronounced change in cities where Jews had already established themselves as moneylenders. These findings are consistent with the interpretation that, following the Protestant Reformation, Jews living in Protestant regions were exposed to competition with the Christian majority, especially in moneylending, leading to an increase in anti-Semitism. Federico Trombetta presented his paper "The Price of Silence: Media Competition, Capture and Electoral Accountability" at the 12th Workshop on Political Economy organised by CESifo, CEPIE at TU Dresden. Dennis Novy will present "Currency Unions, Trade, and Heterogeneity" (with Natalie Chen) at the Research Institute of Industrial Economics in Stockholm on 5th December. Dennis Novy will also participate at the Banque de France - Bank of England International Macroeconomics Workshop in London on 7th December. Daniel Sgroi was part of a panel discussing the ramifications of extended lifespan in the future on 27th November. The event was organized by the School of Life Sciences at Warwick and included an audience of members from the general public. 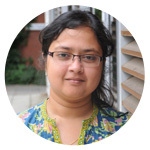 Atisha Ghosh is in the spotlight for this week's new starter interview - find out more about her. A brand new contemporary café opened this week, offering speciality coffee and hot food located on the ground floor of the Lord Bhattacharyya Building. The café is open to all. There will be a formal opening of the building in the new year. Pint of Science is returning to various pubs across Coventry and Warwickshire from 20-22nd May 2019. Learn how you can get involved this year either as a speaker or a volunteer.